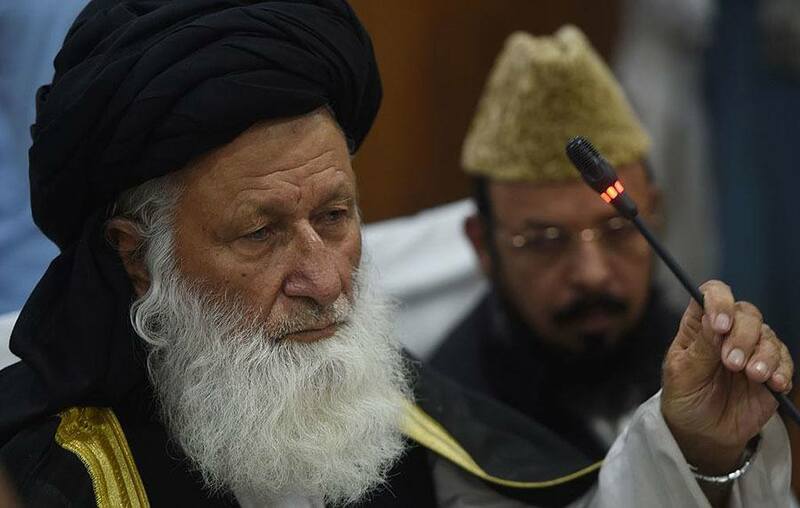 FAROOQ NAEEM/AFP/Getty Images Council of Islamic Ideology (CII) chairman Maulana Muhammad Khan Sherani addresses a press conference in Islamabad on May 26, 2016. The CII drafted the proposal in response to a recently approved law which would grant women protection from abusive husbands. The law was passed in Punjab, Pakistan’s most populated province. The council, which bases its recommendations on Sharia law, also advocates for the legalization of domestic violence if a woman “interacts with strangers; speaks loud enough that she can easily be heard by strangers; and provides monetary support to people without taking consent of her spouse,” the Express-Tribune wrote. As Pakistan is an Islamic Republic and the Council was created for the sake of advising legislators if a proposed law is “un-Islamic,” the proposal’s language seems even more ominous. After all, council members have charged legislators who defy their recommendations with blasphemy, which in Pakistan is punishable by death. But activists on the ground say the proposal has little chance of becoming law. In some ways, Bari is right: While bills like this paint Pakistan as objectively backwards, the Washington Post notes that in many ways, the country is more advanced than some other Islamic countries. For instance, in 1988 Benazir Bhutto became Pakistan’s prime minister, with Pakistan becoming the first Muslim-majority country to install a female head of state. Likewise, there are no official restrictions on what women in the country can wear in public — nor is it the case that Pakistani women are forbidden to drive. However, many of these comparative freedoms are enjoyed almost exclusively by women in urban areas. For Bari, one way to change this is by disbanding the CII once and for all, she told the Post. Next, read about Pakistan’s honor killings.